The pilgrim church, situated in the small homonymous hamlet of Wies close to the village of Steingaden, boosts an extraordinarily sumptuous interior, being one of the most splendid and beautiful rococo-style churches in Germany. 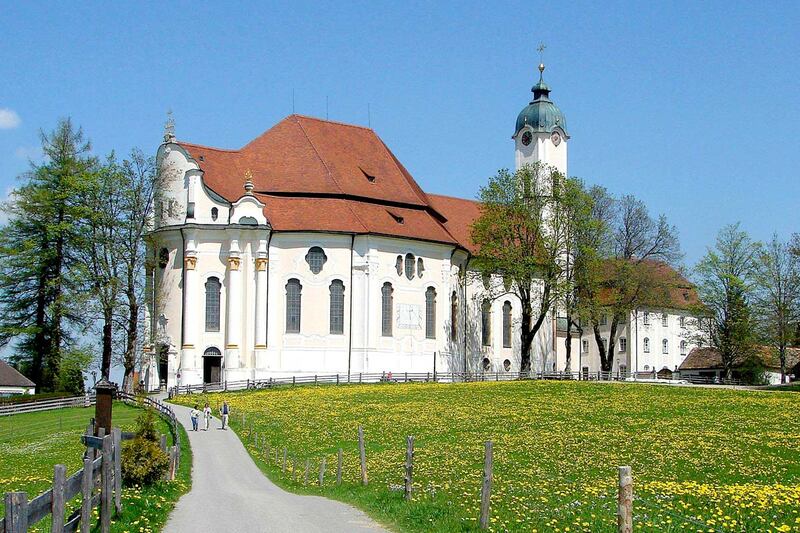 In 1983 "Wieskirche" Church was declared a "World Cultural Heritage" site by the UNESCO, the United Nations Cultural Organisation and thereby gained international notoriety. Today, the sanctuary attracts annually more than one million visitors and is regularly used as venue for sacred music performances. "Wieskirche" Church is only 20 kilometres away from the "Hirsch" Hotel in Füssen. 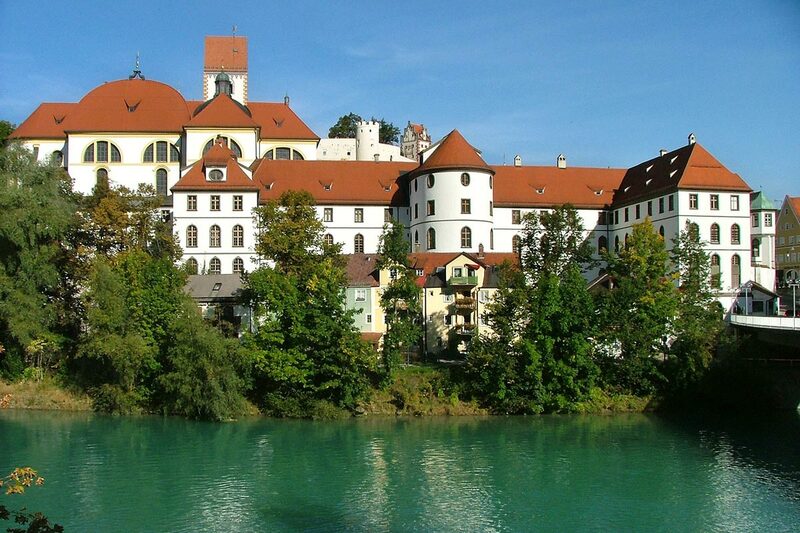 Overlooking the banks of River "Lech", the baroque-style edifices of the St. Mang Monastery, a former Benedictine Abbey, house today the Füssen Museum. The history of the monastery goes back to the 8th century, when Saint Magnus, a missionary, founded a monk’s cell just at this place. With more and more monks joining him, the monastery was set up in the 8th century, bearing since then the name of his founder. Today, you can admire there splendidly decorated baroque-style rooms. Furthermore, the museum shows the funeral dance of Füssen, the most ancient still known funeral dance cycle of Bavaria. An ample collection of historic lutes and violins testifies to the very important role the town of Füssen has held in the European lute-making history.